This comment appeared in the March 2019 edition of Solvency Matters, a quarterly report published by PACCIC. The article noted that loss ratios in auto markets other than Ontario are increasing. “Auto loss ratios in New Brunswick, Nova Scotia and Alberta are unsustainable,” the report noted. But loss ratios don’t tell the whole story of Ontario auto’s overall poor financial health, IBC contends. Donaldson goes on to note that return on equity (ROE) in Ontario auto lines has plummeted by about six percentage points between 2014 and 2018. 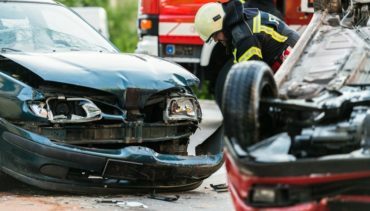 Worse, she points out, the situation is not getting any better when it comes to escalating auto accident benefits claims costs in the province. Generally speaking, the upshot of higher claims costs for insurers is an increase in auto insurance rates for consumers. FSCO, which, as Donaldson, notes, “isn’t known for its lenient attitude toward insurers,” approved rate increases of 8.8% over 2018. And Ontario drivers already pay among the highest premiums in Canada.